LiAngelo Ball and LaMelo Ball, the sons of LaVar Ball, have agreed to one-year contracts with Lithuanian basketball club Prienu Vytautas. LiAngelo and LaMelo were supposed to be play for UCLA, but the plan fell apart when LaVar Ball pulled LiAngelo from UCLA over his indefinite suspension for shoplifting in China. The Lithuanian club reportedly hopes the Balls will bring a marketing boon to the club, but neither player is expected to have a big role on the team. A report indicated that players make $US500 per month at best, and the Balls may earn significantly less. 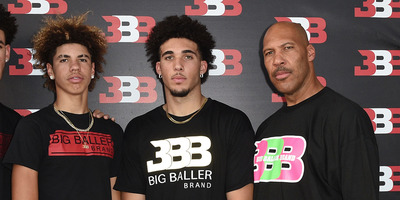 LiAngelo Ball and LaMelo Ball, the two youngest sons of LaVar Ball and youngest brother of the Los Angeles Lakers rookie Lonzo Ball, have signed one-year contracts with Lithuanian basketball team Prienu Vytautas, according to Yahoo’s Shams Charania. Givony reported that the salaries and roles of the Ball brothers may not be significant. According to ESPN’s report, Prienu Vytautuas is in a small village in southern Lithuania with a population of about 10,000 people and few English speakers. Charania reported that Harrison Gaines, the representative for LiAngelo and LaMelo, fielded several offers from international teams and that the Balls and Gaines worked hard to find a team that met their specific needs. Charania noted that the LKL boasts competitive teams that have had NBA players and prospects in the past.